No one starts working out to only end up with mediocre results. You can get the most of your workout by incorporating a handful of things. Here are six ways you can optimise your workouts and get the results you want. Cardio by itself is not enough. While is does burn calories, weight training is more effective because even after your workout you will continue to burn calories. Not only is it useful for shedding the pounds, it’s also vital for building muscle, improving strength, and increasing bone density. 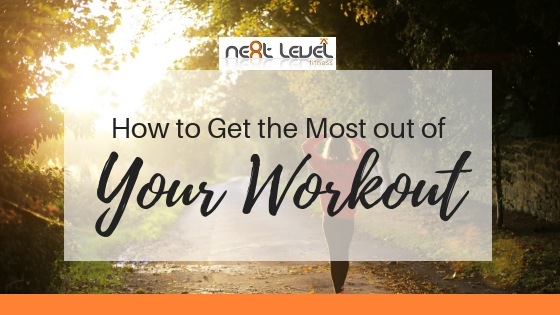 You might be tempted to jump straight into your workout but you’ll be able to do a more effective workout without putting yourself at risk of injury. The purpose of warming up is to raise body and muscle temperature. It is a less-intense activity that gets your body ready for a vigorous workout. A cool down helps the body to go back to its resting state. The purpose of cooling down is to reduce temperature, breathing and heart rates. Walking and other low intensity activities are perfect for doing these. When you don’t give your body plenty of time to recover after exercise you can’t expect it to perform at an optimal level. Rest periods will help to aid the recovery of muscle strain, aches and pains. Vary your exercise routine every number of weeks because you’re likely to hit a wall if you keep doing the same thing over and over. It’s important to incorporate new exercises, change the number of reps you’re doing and introduce new things to keep your body guessing. When we don’t do what we can to optimise our workout routine we run the risk of hitting a brick wall. Weight training is effective for burning calories and strengthening your muscles. Warming up and cooling down are vital for prepping the body for exercise and for returning it to its state of rest. Hydration, time for recovery and keeping your exercise routine fresh should also be incorporated.